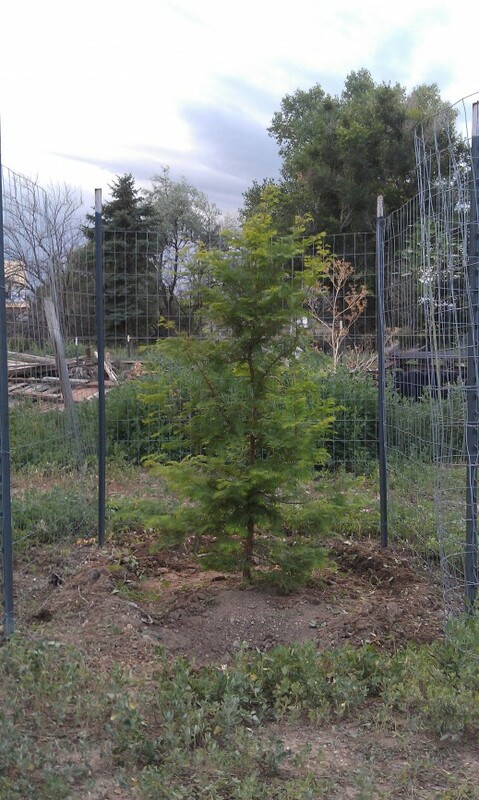 Thought you might be interested in seeing the dawn redwood we planted early July of 2011. The fencing around the tree is to protect it from bunnies, etc. It is 4 1/2' square and 5' high. You can see that at one year after planting it's taller than the fence. This last month it's done really well. I expect we'll have seen 3' or better of growth just this season and am really looking forward to how it does next year. The other two we ordered from you this year are in and doing well also. Thanks to Don Canale for sending this picture of his dawn redwood tree.